In recent years, the Taipei Chinese Orchestra (TCO) has continuously presented innovative programs of interdisciplinary nature, expanding the definition of “Chinese music.” It is hoped that these innovative original works will become classic pieces to pass on generations. The Four Women in Puppet Master LEE Tien-Lu’s Life, a hokkienlanguage opera piece which concludes this year’s Traditional Arts Festival, is exactly one of such original works. 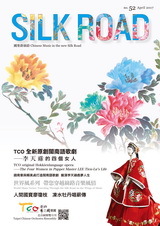 Composed by CHIEN Nan-Chang, a recipient of the National Award for Art, the production features outstanding artists in Taiwan’s art and literary circle, including poet LU Han-Hsiu, playwright LAI Mei-Chen, director Chris TSENG, top vocalists and theater professionals, as well as members of the CHEN Hsi-Huang Traditional Puppet Troupe, who collaborate with the TCO to bring the unique piece to life. Please join us on this journey through the lives of LEE and his four women as well as the story of the great time. The “Plucking the String” series, on the other hand, is designed for Chinese chamber music. The Traditional Episode is orchestrated by TANG Liangxing, Chinese music master from southern China, and features Chinese traditional ancient tunes and famous southern Chinese stringed music, while The Contemporary Episode showcases works by composers from different age groups and with different characteristics. By inheriting traditional spirit while developing various elements of contemporary music, we hope to establish a benchmark for the development of chamber Chinese music in terms of the structure, forms, styles, and language. Whether it is in form of orchestra or chamber concert, contemporary Chinese music has to accumulate its energy through building up a great amount of repertoire. By planning and performing concerts, we try to make modern music creations to reflect the traditional spirit and to build up the repertoire. Perhaps not all of the works may be performed again,but it is still worth doing it even only one out of ten pieces can pass on to generations to come.